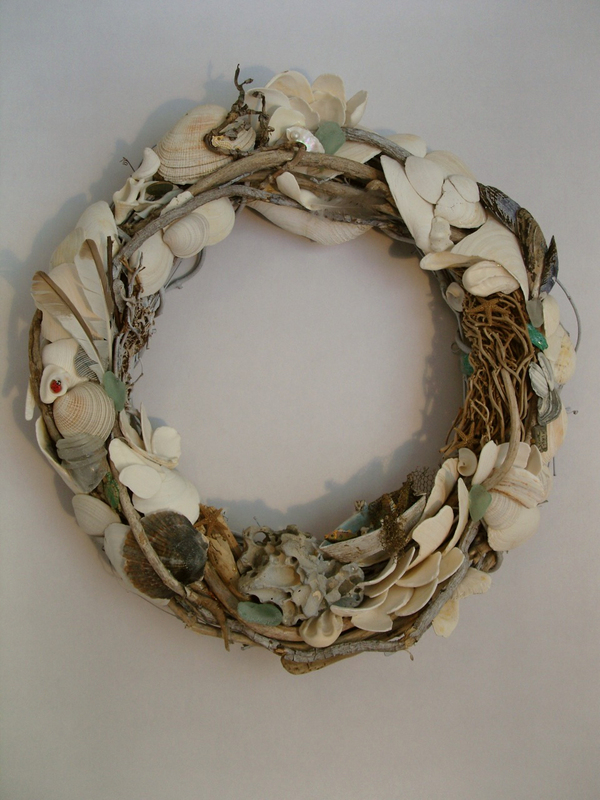 Ship wrecked – Hidden Treasure Series, wreath 18 inch grapevine. This wreath has about 21 items to find. The little boat was a brown plastic toy boat found on the beach and then repainted in pale blue with distressed white hull.